The goodwill we have gained in the market is due to our offered Polyurethane Components. 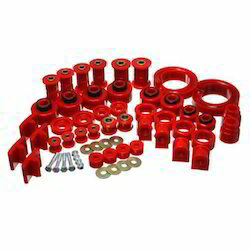 This range has the lowest co-efficient of friction and widely use for non-stick applications, these components are designed in compliance with set industry standards. The offered components are made at our hi-tech manufacturing unit using finest quality material. In addition to this, these components are perfectly examined on different quality parameters for ensuring its flawlessness. Looking for Polyurethane Components ?